Click an item in the AVAILABLE CATEGORIES field to sort featured items by category; it will move to the APPLIED CATEGORIES field. Click an item in the APPLIED CATEGORIES field to unassign it. 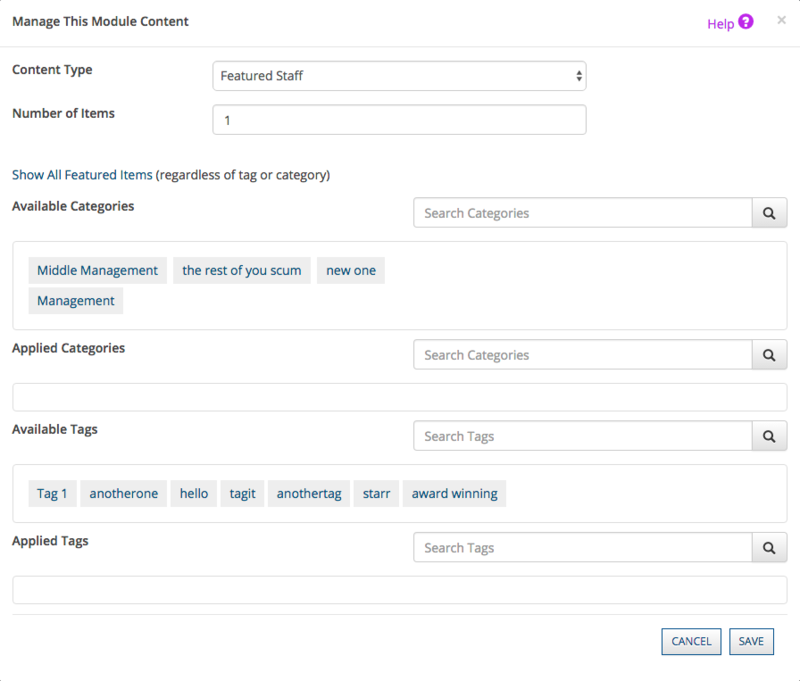 Click a tag in the AVAILABLE TAGS field to sort featured items by tag; it will move to the APPLIED TAGS field. Click a tag in the APPLIED TAGS field to unassign it.